YSRCP chief Jagan Mohan Reddy mocked Jana Sena leader, power star Pawan Kalyan, asking if marrying every four years is a sign of masculinity for him. YSRCP chief Jagan Mohan Reddy has once again taken Jana Sena leader, power star Pawan Kalyan over his past marriages and asked him if the trolling of his ex-wife Renu Desai is a sign of masculinity for him. Recently, Pawan Kalyan had taken a jibe at the YSRCP over a lack of "masculinity" in going to the Assembly and raising issues of state importance. YS Jagan Mohan Reddy reacted to the power star's remarks when he was addressing a public meeting of his Praja Sankalpa Yatra at Rajam in Srikakulam district. 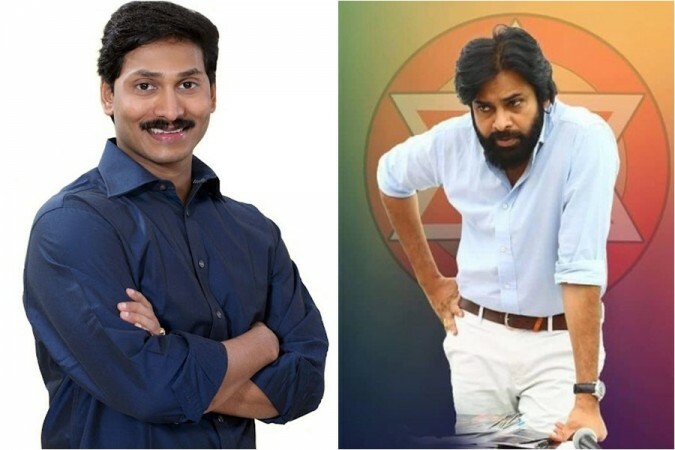 Jagan Mohan Reddy compared Pawan Kalyan's marriages to buying cars. "Is marrying four times a sign of masculinity? Pawan changes his wives every four years like cars and mocks the sacred marriage system. Is this what masculinity means?" Deccan Chronicle quoted the YSRCP chief saying on the occasion. Pawan Kalyan's second wife Renu Desai was mercilessly attacked and trolled for no apparent fault of hers. Though she expressed her agony a few times, the actor-turned-politician kept mum on the issue. Jagan asked about his silence and said, "He should remember what his second wife Renu Desai said. Is keeping silent when his fans were attacking Renu Desai on social media is a sign of masculinity." The YSRCP leader alleged that Pawan Kalyan was a partner in Chief Minister N Chandrababu Naidu's corruption. He also took a dig at the latter picking out alleged real estate corruption. "He got the land valued Rs 4 crore at dirt cheap rate in Amaravati and now he criticises me," said Jagan Mohan Reddy. Earlier this year, Jagan Mohan had spoken of Pawan Kalyan's weddings and described him 'nitya pellikoduku' (bridegroom forever). As a result of his words, he came under severe criticism from the Power Star's fans who trolled him and his sister Sharmila.